Your dentist may prescribe an oral sedative for you to take before treatment. This will help to reduce any pre-appointment anxiety and improve your experience. Nitrous oxide (“laughing gas”) has been used safely for many years to relax anxious patients. A small mask is placed over the nose through which a mixture of oxygen and nitrous oxide is inhaled. The effect to make you feel relaxed and sleepy. The patient experiences a feeling of well-being making procedures more comfortable. 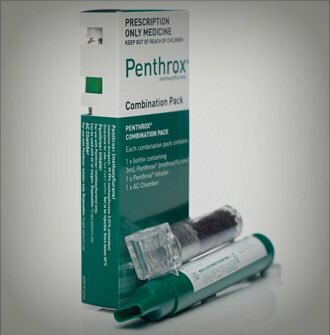 Penthrox (Methoxyflurane) is a medicine used to reduce pain but also can cause sedation. It is a clear colourless liquid with a characteristic fruity smell that becomes a vapour or gas once it has been poured into the Penthrox inhaler. It is hand held and self-administered by the patient who controls the level of sedation depending on the rate of intake. The Penthrox inhaler is commonly referred to as the “green whistle” and used for pain relief in emergency situations by paramedics. After-effects of sedation may include disturbed ability to concentrate, nausea and you may feel tired or sleepy. Even though these effects wear off relatively quickly it may be wise to have someone accompany you to your dental appointment if sedation is planned.